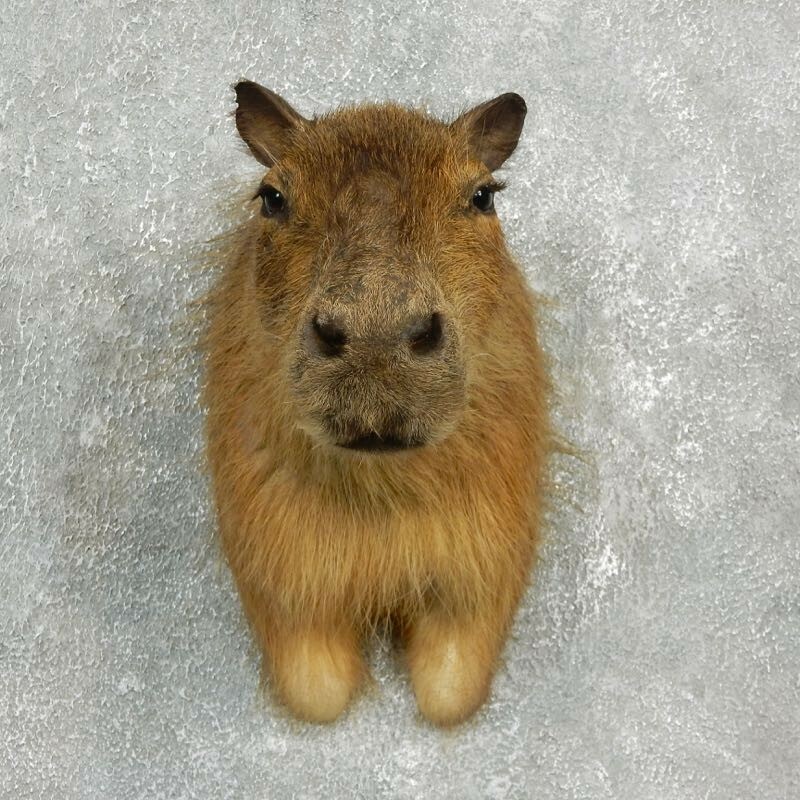 This is a really cool Capybara taxidermy shoulder mount, looking straight out into the room. It has an outstanding hide and incredibly soft, thick hair, and combined with great taxidermy craftsmanship, earns our Excellent Plus™ overall rating. All applicable dimensions are included to help ensure this item will fit within your intended display space. The capybara is the largest rodent in the world weighing up to 146 pounds. The capybara can be found throughout South America. They are a semi aquatic mammal that prefer the swamps and rivers around the Amazon. They are good swimmers and can be found in large groups of up to 100 animals.